Registering with Ejari is a relatively pain-free exercise IF you have the correct paperwork. Save yourself some money by registering with Ejari yourself. You need to have been to DEWA to organise your water and electricity connection before registering with Ejari at one of the registered Ejari certification typing centres. Only some typing centres are listed to operate the Ejari system. Remember to keep all receipts. 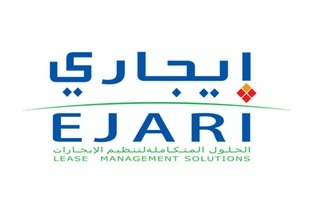 It is mandatory to register your Tenancy Contract with Ejari. This is the Landlord’s responsibility not the Tenant’s. Ejari or ‘my rent’ builds a database of landlords, tenants, tenancy contracts, rental prices and rental properties. Once you have Ejari you can register with du or Etisalat, or sponsor your wife (if you’re a male obviously! ), register your car and a myriad of other things which are dependent on having an Ejari Certificate. Typing Centres are dotted all over Dubai BUT as of June 2016 you can only complete Ejari at a few centres including the Al Manara Centre or at the Land Department – RERA. The best time to go is first thing in the morning. You will need to take certain documents with you to the Al Manara Centre or the Land Department (RERA) to register your Tenancy Contract with Ejari. First things first – you need to have a receipt from DEWA (or in the case of renewal, a copy of the latest DEWA bill). The receipt should clearly state the property information including the DEWA property number which is the brown tag mentioned in the DEWA guide. You will also need to take your original Emirates ID and copies of your passport, visa and tenancy contract as well as the landlord’s passport copy. Then there’s the title deed. The title deed (or affection plan) is required by DEWA for registration with the Dubai Electricity & Water Authority. 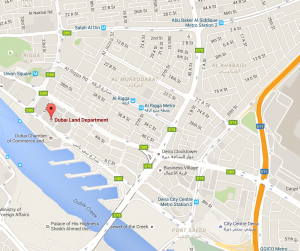 Important: If it is a new property you will need the DEWA form completed and signed by the landlord. It doesn’t make any sense for the landlord to sign the form without the details of the property being completed. If the property has been rented before you want to ensure that you have a copy of the final payment or final bill and paid it. This receipt or bill should state that it is the final bill. You will not be able to have the electricity and water connected without proving that the previous tenant has finalised his/her contract with DEWA. DEWA does not operate two accounts at the same address at the same time. Sometimes you end up paying for the previous tenant just to get DEWA to add your name to the account and who knows if you will ever be repaid! So make sure you have all the necessary paperwork from the agent or landlord. Don’t take their word for it. Get the paperwork so that you have actual proof. DEWA will not accept your word, they only accept full documentation. The cost as of May 2017 is AED 225 if you do this yourself. This is the official Ejari website. There are a few online companies where you can submit documents and they will do the work for you for an additional charge. We have not used these online services so cannot vouch for them. You will receive one Ejari Certificate which gives the property, owner and tenant details as well as showing the paid amount. Keep the Ejari certificate safe as you will need it in the future. For renewal, hand over the previous year’s certificate – this makes life a little less frustrating. If you have any queries check out the government Ejari website or phone on +971 4 203 0541 or 0542. They are very helpful. 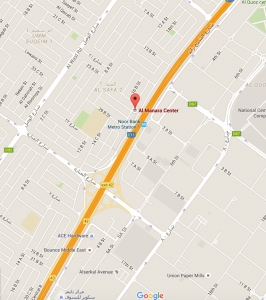 The Al Manara Centre is open (usually) between 07.30 and 14.30. Please phone them on +971 4 221 5555 for any further information.